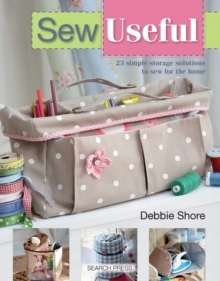 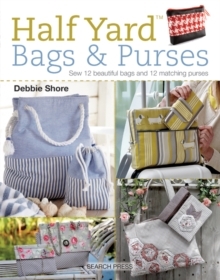 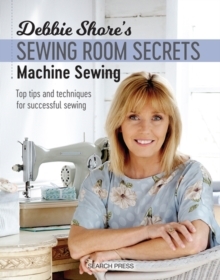 Sewing superstar, Debbie Shore has a real flair for designing simple projects that look amazing, and in this book she has created ingenious storage solutions to keep the home neat, tidy and beautifully styled. 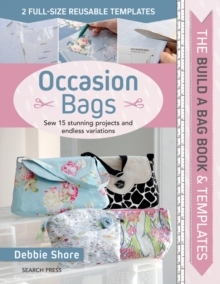 All the techniques and stitches needed are clearly explained, and the projects can all be made on a basic sewing machine. 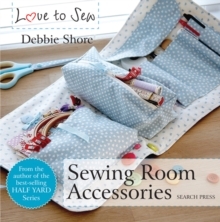 Projects are included for all areas of the home, and include a storage cube, drawstring toy bag, garment cover, iron caddy, jewellery pouch, tablet cover, knitting needle roll, drawer liner, laundry bag, sewing machine bag, gift wrap storage and even a heat-proof pouch for hair straighteners.